ALYSSA MAY: What's In My Makeup Bag? 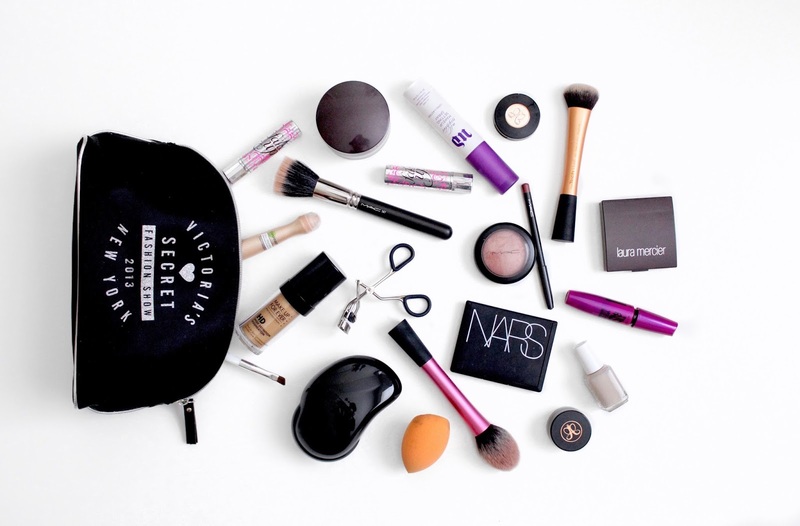 In the past, I remember I would overload my makeup bag with so many useless things that I hardly ever touched. I'll be honest, I'm such a hoarder. But after seeing what products work best for me, I've finally narrowed it down to a select few. This has made my makeup routine go by so much quicker in the morning and has also taught me that sometimes less is more. So on a day to day basis, this is what my makeup bag consists of. Leave a comment telling me what your must have makeup item is because I'd love to know! I love your make up in your make up bag! How's the Laura translucent powder? Thank you :) I love it! It's lightweight and doesn't crease on me!